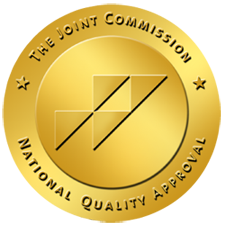 Body Care - Liposculpture and Anti-Aging Clinic has earned The Joint Commission’s Gold Seal of Approval® for accreditation by demonstrating compliance with The Joint Commission’s national standards for health care quality and safety for office-based surgery. The accreditation award recognizes Body Care - Liposculpture and Anti-Aging Clinic's dedication to continuous compliance with The Joint Commission's state of the art standards. "Patients across the United States are increasingly receiving care in an office setting, and a practice that has received accreditation from The Joint Commission has successfully complied with the highest standards for quality and safety," says Michael Kulczycki, executive director, Ambulatory Care Accreditation, The Joint Commission. "I congratulate Body Care - Liposculpture and Anti-Aging Clinic for successfully taking this challenge and for its dedication to continually improving patient care." An independent, not-for-profit organization, The Joint Commission is the nation's oldest and largest standards-setting and accrediting body in health care. The Joint Commission introduced office-based surgery standards in 2001 to provide oversight for small practices performing invasive procedures. Founded in 1951, The Joint Commission seeks to continuously improve health care for the public, in collaboration with other stakeholders, by evaluating health care organizations and inspiring them to excel in providing safe and effective care of the highest quality and value. The Joint Commission evaluates and accredits more than 20,000 health care organizations and programs in the United States, including more than 10,600 hospitals and home care organizations, and more than 6,600 other health care organizations that provide long term care, behavioral health care, laboratory and ambulatory care services. The Joint Commission also certifies more than 2,400 disease-specific care programs such as stroke, heart failure, joint replacement and stroke rehabilitation, and 400 health care staffing services. Learn more about The Joint Commission at jointcommission.org.